There's a ton of information -- and misinformation -- about the final tax package that is likely to become law by the end of the week. It can be hard to keep up with all the changes between various version of the bill. We've got everything you need to know in one place. 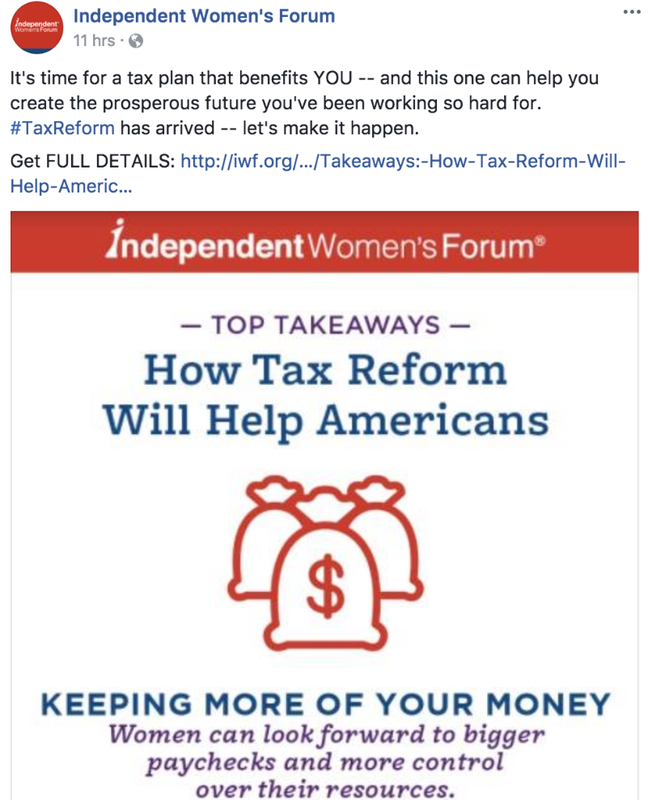 Check out this summary of the bill's benefits, from our sister organization Independent Women's Forum. The bottom line: This reform promises to help you keep more of your hard-earned money. Not only does it lower taxes, but it doubles the standard deduction, expands the child tax credit and eliminates the Affordable Care Act tax mandate. Significantly lower corporate tax rates mean businesses can raise wages for workers and create millions of new jobs. Business owners and individuals like can look forward to a simplified tax code, which means fewer frustrating hours of paperwork and more time for real life. 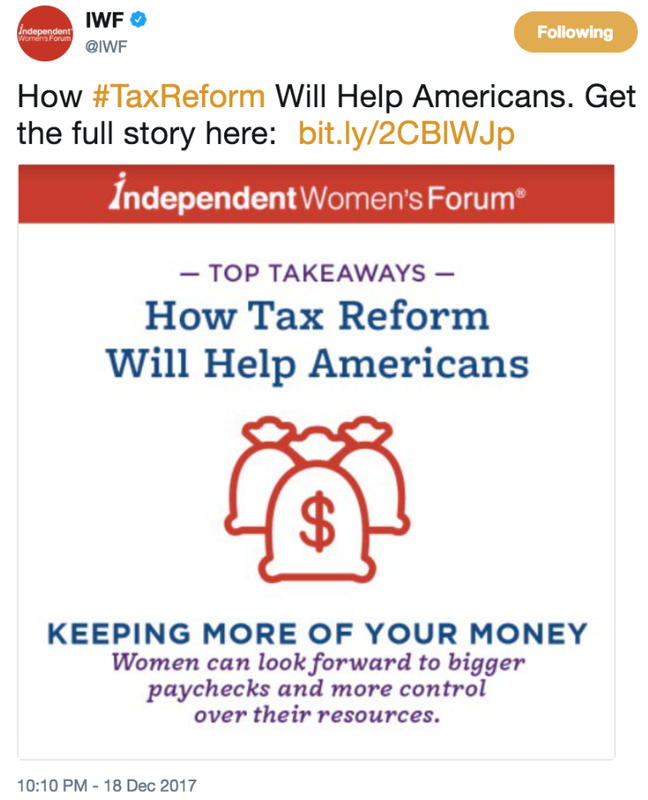 Preserves popular and important tax benefits for women and families. Check out the full summary HERE to read more details. It's time for a tax plan that benefits YOU -- and this one can help you create the prosperous future you've been working so hard for.